Have you had a chance to meet with picturesque places of Liguria magic? I was lucky that a few years ago quite by accident, unplanned find in Liguria. With almost no prior knowledge as fallen from Mars, I fell in love with her. First Genoa, which I had bought, and then gem Santa Margherita and Portofino. Every place is beautiful in its own way and deserves attention. “Riviera of the rising sun” and I, love at first sight, I returned to her three more times after that, and I hope soon again access order. Interesting Italian region located close to the Ligurian Sea visitor can provide everything he wants: the natural beauty, cultural and historical monuments, entertainment and nightlife. The area is characterized by beautiful beaches, luxury resorts, peace and relaxation. Ivory flowers, also called, is a long coastal strip located between the sea and the mountains rising steeply behind it. Its coastline is rugged and picturesque, with the villages that are located above the bays and look as if she were about to overthrow the time directly into the sea. If you want that original, right and perfect Italy with houses in pastel colors and romantic atmosphere, then the Liguria area should be found at the top of your wish list. This is the ideal place for soaking up the relaxing atmosphere of Italy. But let’s go on the beginning. The first association to Genoa is certainly not art. This city has a rich history. The largest and busiest Italian airport, the city of glorious past, one of the most powerful trading port in Europe. Grad authentic spirit, full of interesting myths, revealing the passenger passer its glorious past and elegance. Traces of the long history, power, economic impact, but also art, culture, rich legacy to future generations, are visible at every step. Genoa’s history is full of struggle for dominance in trade and shipping. 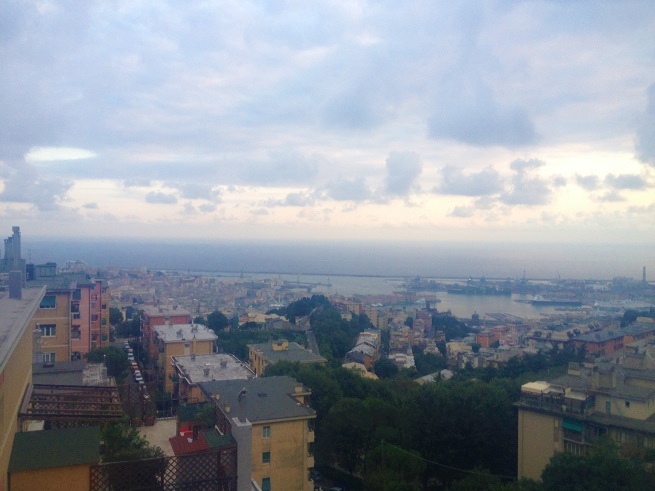 Given the fact that Genoa is located at such a narrow strip between the mountains and the sea, its inhabitants could not even set off anywhere else, but the way it should. Walking around the city aimlessly, come to New Street, today’s Via Garibaldi. Since 2006, 42 palate of this street are on the UNESCO list of cultural heritage. In the street the Palazzo Bianco and Palazzo Rosso in which there is a rich collection of masterpieces of artists such as Rubens, Titian, Caravaggio, Lippi, Van Dyck, Tintoretto, and Paganini’s violin. 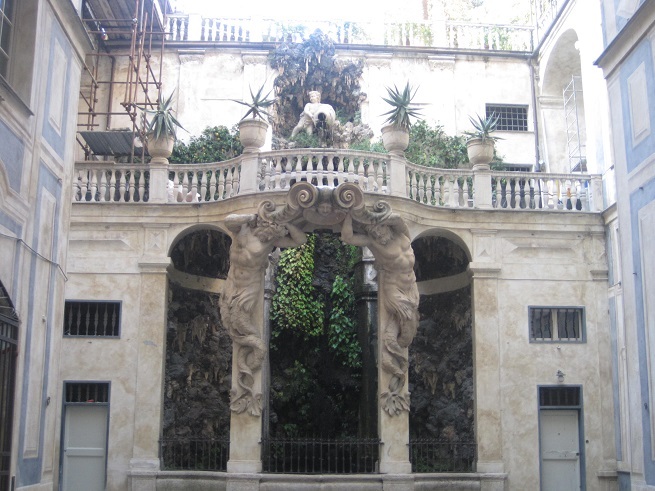 The elegant facade, rich in frescoes and paintings, unique inner courtyard, huge lobby, wide, marble staircase, glittering mirrors, gilding, crystal chandeliers, spacious rooms, silk curtains, magical fountains, balconies, gardens and rose gardens will leave you breathless. 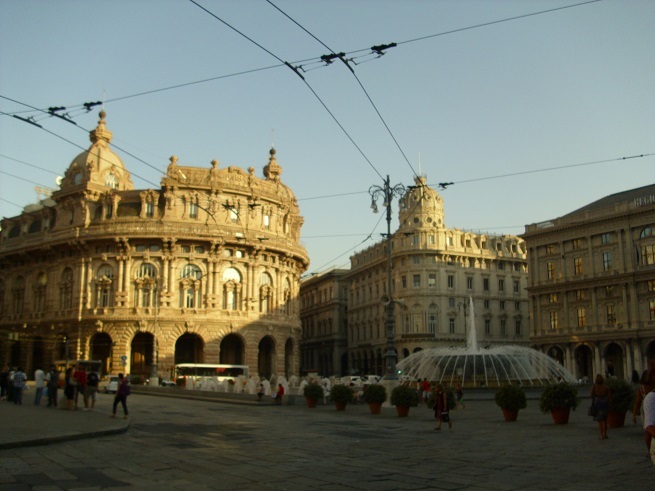 Not far from the main square Piazza De Ferrari where there is a theater and opera house Teatro Carlo Felice, a fountain, a monument of Garibaldi on horseback, Ligurian building administration and Palazzo Ducale once home to the doge genoa, and today the center of culture and art. If you want to feel the real rhythm of the city take a walk to the famous Market Orientale drinks, is open until the evening. Near the square, in the shadow of the city’s biggest port Port Soprano, is the birthplace of Christopher Columbus. The house was burned in the same place was built a replica. When you start to go down to the old port of Port Antico, take a look at the Cathedral of San Lorenzo, which hides a great treasure. Trade Palace Pallazo delle Comprere di San Giorgio from the 13th century and today is the headquarters of the Port Authority, and used to be a prison in which one of the most famous prisoners was the famous Marco Polo. The port is also the most popular city attraction aqua park Genoa, was built in 1992 for the EXPO exhibition when he lauded the 500 anniversary of Columbus’ discovery of America. This large exhibition on the work of the famous sea adorn architect Renzo Piano, glass bowl, Biosphere and a botanical garden with exotic vegetation. There is also a symbol of the city, the oldest lighthouse in the world, 117 meters high, which still works. 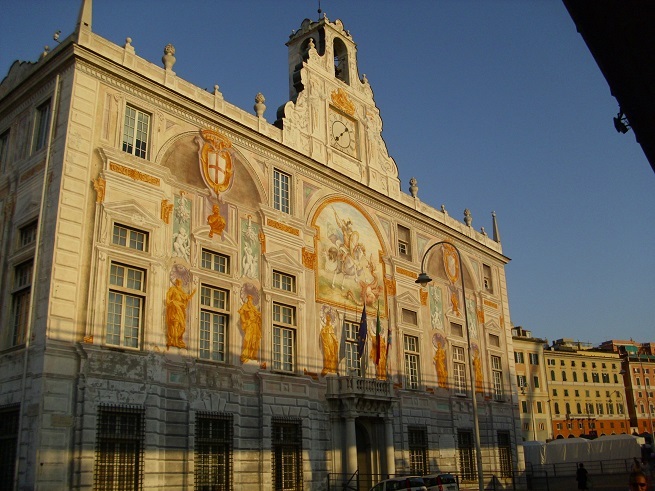 Genoa in 2004 declared the European Capital of Culture. If you accidentally lose or go into the transverse unlighted streets, no sweat, it is obvious police presence everywhere. Thanks to them, or coincidence, in this great port city full of secrets, dark passage, migrants, suspicious characters, we were lucky that the dark side of the city we met. From Genoa we take a bus headed for Santa Margherita. A small tourist town that for many years attracted many visitors, mostly elite. Just like other cities in Italy, and Santa Margherita attracts a specific way of life, culture, beautiful nature and excellent dishes to eat. 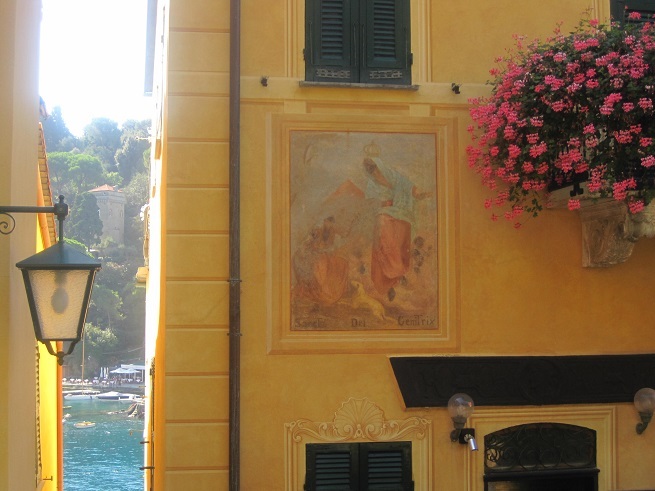 The old lady, all woven with flowers, greenery, palm trees, romantic villas and colorful houses in pastel colors characterizes the region (fishermen painted houses to recognize it from a distance) on the stage of the sea appears Santa Margherita Ligure. Charming and picturesque town, named after the Basilica of the Holy Margherita. It’s full of interesting sights like the castle from the 16th century with a beautiful view of the bay. 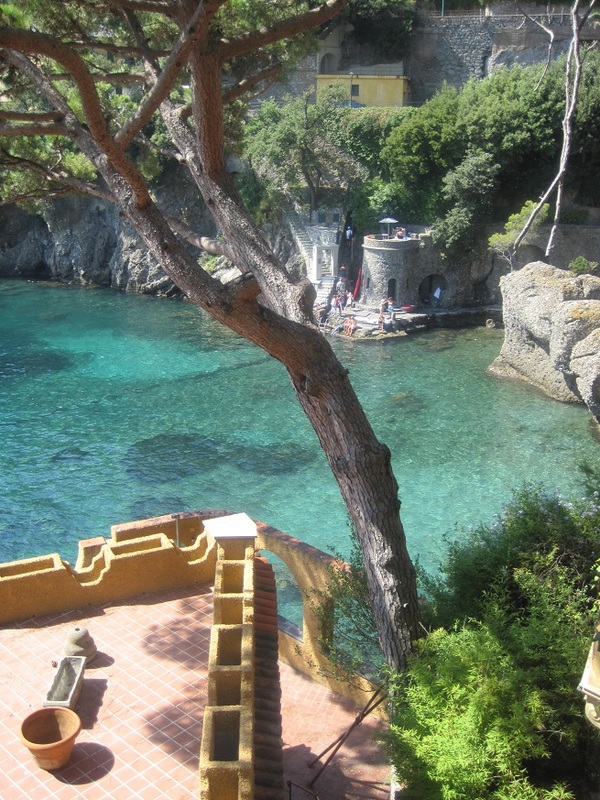 Among the many beautiful villas, romantic garden of the villa Durazzo Centruione Santa Margherita breathtaking. This small town of only 10,000 inhabitants, is located in could not be a better setting, between Rapala and Portofino. 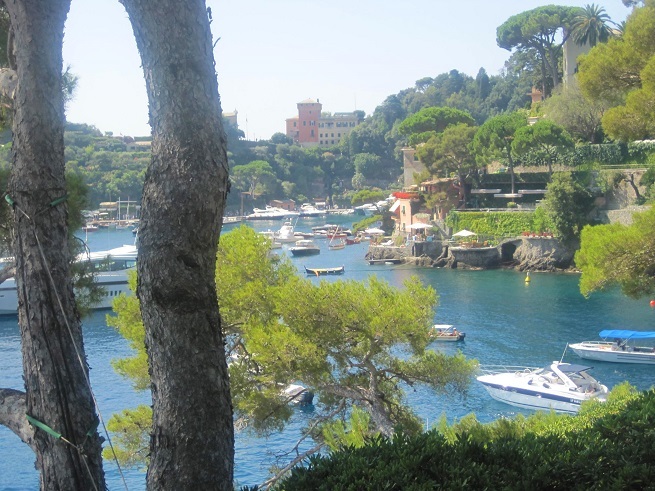 Although much larger than Portofino, Margherita is much quieter and no less modern than her famous neighbor. The city has excellent opportunities for shopping, lovely cafes and interesting sights. 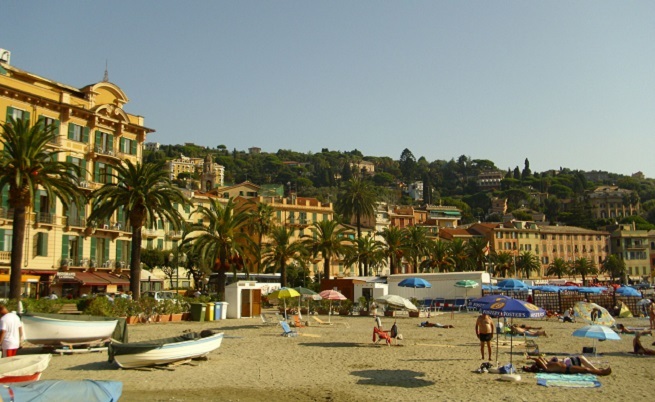 To Margherita you can reach all means of transport, but since it continues to Portofino, you can boat or bus. I recommend, if you have enough time to walk. The distance between these two fisherman villages is about five kilometers. Worth it, believe me. Along the way you will be thrilled with the natural beauties. 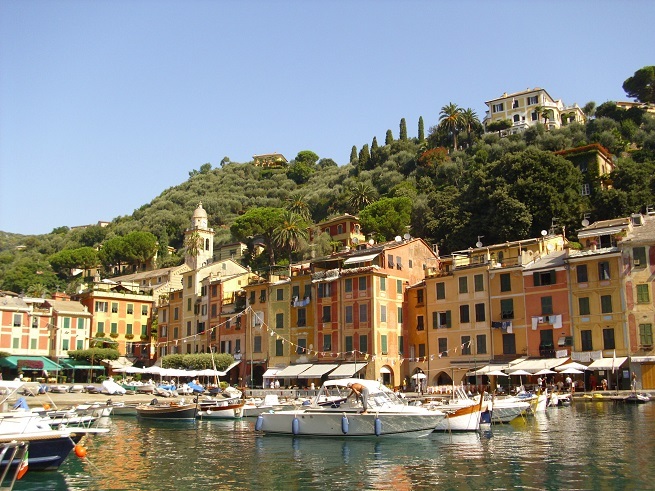 The old name Portofino is Portus Delphini, or harbor a dolphin. 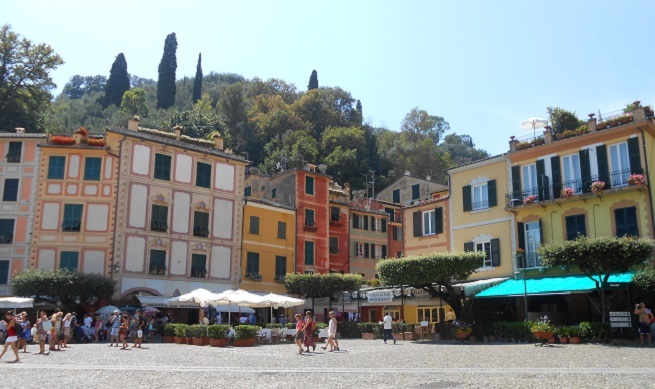 Once a small fishing port, now fashionable Portofino, of only 550 inhabitants, is a symbol of luxury and sophistication. Around the small port in the center stack of the fabulous restaurants, bars and churches. Under the blows of the waves bobbing boats and boats and yachts strut valuable. Above the harbor is dominated by the castle Castello Brown in which to save history Portofino. A small square in the center is the center of many events and his social life of the city. Here tourists and locals can enjoy the many restaurants and small shops. What is most characteristic of this region, in addition to a variety of sea food was pesto Genovese: sauce of fresh basil, garlic, olive oil, pine nuts and Parmesan cheese; sgabei delicious pastries baked in hot oil, which is usually served with antipasto and the most common of the Ligurian region, type of dough coated with olive oil and various coatings, tomato, onion, olives and cheese. When it comes to red wine are particularly well-known white wine. The most famous is rare and sweet wine Sciacchetrà, which many poets, including Petrarch and Boccaccio, saying that the drink of the gods themselves. Terraces on steep cliffs overlooking the sea, Mediterranean climate and delicious cuisine invites you to taste real sweet life. This charming little town every tourists the opportunity to taste what it’s like vacation when all is subordinated only to your enjoyment. 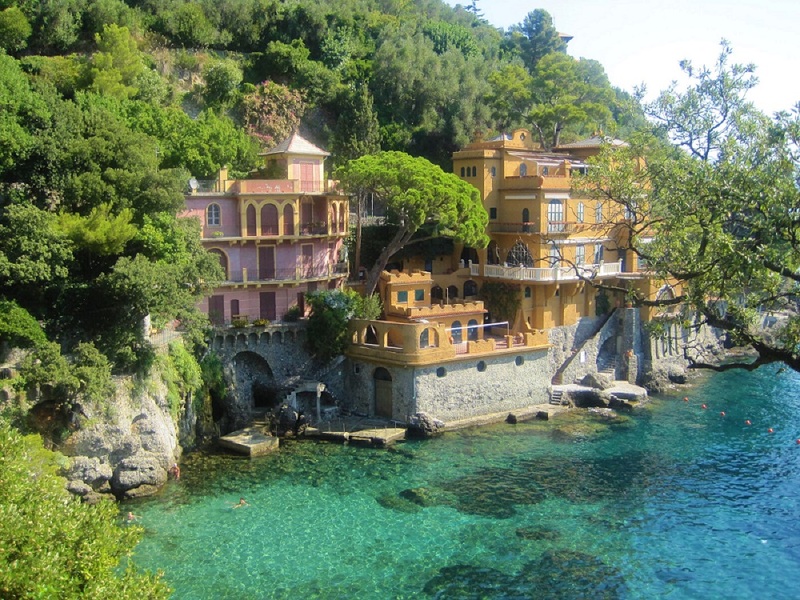 Hedonism is strongly emphasized here, so it is not surprising that Portofino is considered the perfect destination. If you want to get away from the noise and stress of everyday life, dial Portofino. What makes you most enjoy the coves and flawless blue color of the sea. It is much nicer than the pictures. It’s not nice, it’s beautiful, unreal, as well packaged paradise! 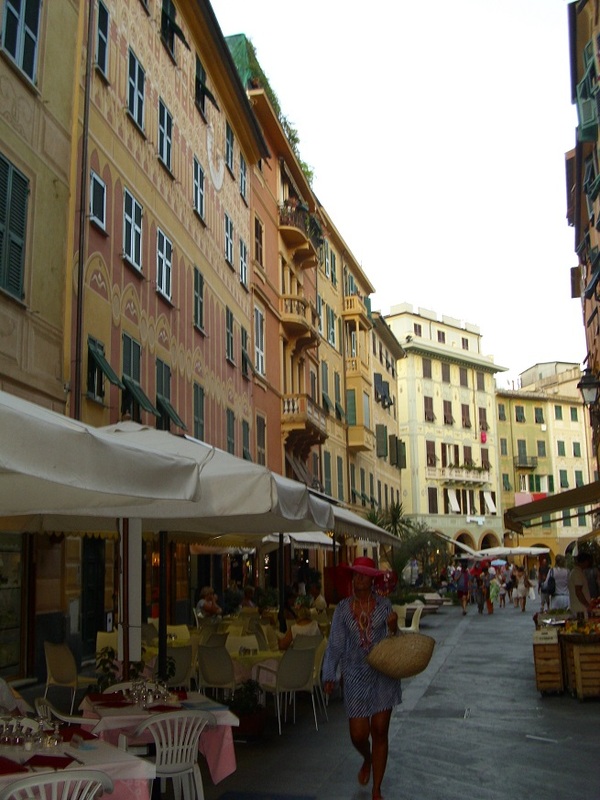 Liguria has for me always been high-ranking on the list of destinations that I’ve visited. I’m always glad she came back, the area has a lot of good to offer. If your travels take you to this part of Italy, do not skip it, believe me, to PC, you will not be disappointed.